Adobe today updated its Lightroom Mobile application and added the ability for Android and iOS devices to shoot in RAW HDR mode. Adobe says the new HDR mode automatically scans each scene to measure the best-possible exposure range and then takes three photos that are merged to deliver the widest exposure and contrast range. The result is a 16-bit floating point DNG image that Adobe claims can rival the quality of images captured by today's dSLR cameras. The new HDR RAW capture mode is available to the Apple iPhone 6s, 6s Plus, 7, 7 Plus, iPhone SE, and iPad Pro 9.7. 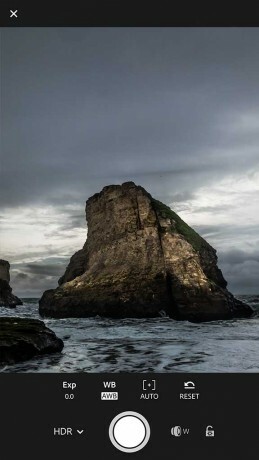 The iOS version of Lightroom also gains the ability to export original files and RAW images, as well as a gesture-to-rate tool, Force Touch actions, and sleep prevention. As for Android devices, the new tool works with the Samsung S7, S7 edge, Google Pixel, and Pixel XL. Adobe says this is because these are the only devices capable of capturing DNG images on their own. More devices will be given access to the HDR RAW capture feature over time. Adobe Lightroom Mobile is free to download from the iTunes App Store and Google Play Store. People who own an Alexa-enabled device can now interact with their iCloud calendar. Amazon added support for Apple's iCloud calendar service to Alexa this week, making it possible for iPhone owners to access and use their calendar through devices such as the Amazon Echo, Echo Dot, and more.